After a few hours sleep, you find Lucio Monte finishing his breakfast in the Acerbi dining hall. His fine attire and jewelry could easily lead someone to mistakenly assume Lucio's to be of noble birth. He has sharp facial features which are broken up by fine wrinkles at the corners of his eyes and mouth. His hair and beard are short and neat, despite what must have been several days of hard traveling from Florence. He greets Marco with polite and soft voice. "Good morning Marco, and thank-you for your hospitality. It is unfortunate that we must meet again under these circumstances. These are dark days indeed." He nods to Cirillo and says "Hello, Cirillo." with a curt and disapproving tone. Finally he greets Ferran. He extends his hand and says "I don't believe we have met; I am Lucio Monte of Floren... uh, formerly of Florence now I suppose." "The pleasure is all ours. I hope your travel was fine?" - Marco struggles a but to find appriopriate words, but his smile is genuine and friendly. Ferran shakes Lucio's hand with a warm and firm handshake while flashing a grin. "It is true senor that we are not acquainted since it's only a few days since I've arrived to fair Venice. I am Ferran Costa of Minorca and I am a sailor and translator by trade. It's an honor meeting a renowned doctor like yourself senor Lucio." Cirillo stays quiet for quite some time letting Marco and Ferran speak first. This is the moment he has been waiting for and dreading in equal amount. "Hello, Lucio. ", Cirillo begins in unsure voice. "I hope your trip back to Venice went well." "The journey itself was rather unremarkable compared to the news I bring. Three days ago Emperor Charles V lost control of his mercenaries. Apparently, the fool hadn't paid the Landsknechts in months so they took it into their own hands to march on Rome and sack it against Charles' orders. Pope Clement VII* was threatened and retreated to Castel Sant’Angelo, but he is surrounded by Charles on all sides. It is only a matter of time before he is taken hostage and used to control the Church. Now, with the Medici family greatly weakened, Florence is revolting. 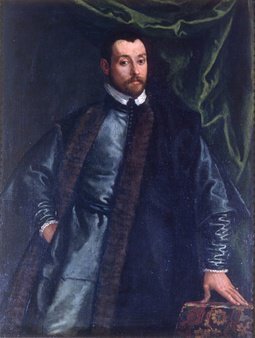 The lead instigator of the insurrection being Filippo Strozzi, who claims to banish the Medici along with their supporters, in order to return Florence to a Republic. Many have already fled, myself among them." He pauses a while to let everyone think of the ramifications of the news. Venice is currently allied with Florence and the Medici against Charles and were already losing the war badly. With the sack of Rome, the life-blood of Italy, and the possibility of losing their alliance with Florence due to revolt, this is absolutely devastating news for Venice. If Charles were to regain control of the Landsknechts, there would be nothing between him and the city of Venice itself except for it's already greatly diminished navy. "As serendipity would have it, just as I was gathering my belongings to abandon Florence and wondering where I would go, I received your letter of invitation to return to Venice." He talks specifically to Marco now. "After hearing my account, your brother gathered all of the documents in his study and has been calling for meetings with the Council of the Forty and Duke Gritti." *Pope Clement VII was born Giulio Medici and changed his name when he became the Pope. "Perhaps we could contribute a bit by helping the Pope to get out of Rome. What do you say, men?" Ferran looks at everyone attentively and when none is speaking says. "You can always count on my sword arm and my nautical lore. For I believe we will have to travel by sea, at least for some distance, to evade the Emperor's army. Don't forget, I'm Catalan. That means a Spaniard for the rest of the world. I can speak their language as well as they do, and swear to the Almighty that I hate them more than all of you combined." "But before anything is set to motion the Council of the Forty and Count Gritti must examine every posibility. It's not our place yet to take action." "Will you please excuse me? I'm sure you want to speak with Cirillo..."
Marco knocks to Giacomo's room. "Brother, what are you going to do?" Cirillo stands in awkward silence waiting to be left alone with his former mentor. As Cirillo and Ferran speak of traveling to Rome, Lucio's eyebrows raise with an incredulous look but he keeps his words to himself. When Marco excuses himself, Lucio gives a polite nod of his head and waits for him to leave. Lucio turns to Cirillo and finally gives his reply. "Gallivanting the countryside with mercenaries while your patron is in good health is one thing, but to abandon him now would be disgraceful. Are you so keen to abandon your duty again?" "If you are talking about the old man, I am not so sure my services are needed anymore now that you are here, Lucio. ", Cirillo replies. "Marco's elder brother made it very clear to me that when he sent for you, I was no longer his father's doctor. Now I consider myself as Marco's personal doctor and friend and I will go where he goes. My apologies if I have been mistaken. ", he continues and lowers his head. "Besides, I'm sorry I left like that..."
Lucio ignores Cirillo's apology. "On the contrary, Claudio may need your help more now than ever. I told Giocomo he decision to isolate Claudio from you was foolish. He has dismissed the guards under my recommendation. While his symptoms are consistent with foxglove poisoning, there is no conventional cure. I've already administered him some magnesium and regular leeching to bring his humors back into alignment but there is not much else to do but wait for the sickness to pass and hope no permanent damage was done. On the other hand, if it is any of a dozen other ailments, waiting is no doubt the worst course of action we could take." He looks to Ferran, indicating that he his not only talking to Cirillo now. "It would be prudent of us to investigate all available avenues. Tell me. Do either of you know anyone in Venice or nearby who has experience in ceremonial magics?" Lucio's face remains stoic when he asks about the blasphemous art. Before anyone has a chance to respond Marco storms in unceremoniously. "Lucio, Lucio! we need to talk! Lucio stands and takes a few steps to meet Marco. "What is it?" Marco takes Lucio out of the room and quietly tells him about his conversation with Claudio. "...and then he ordered me to take care of Francesca, just like few days ago. What is wrong, Lucio? It's like he doesn't realize what's happened recently. Please you must help him!